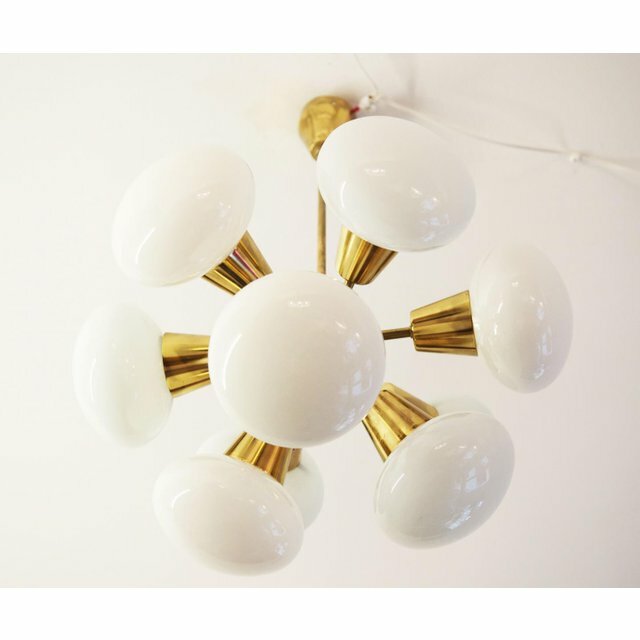 This space age chandelier originates from the 1960s. 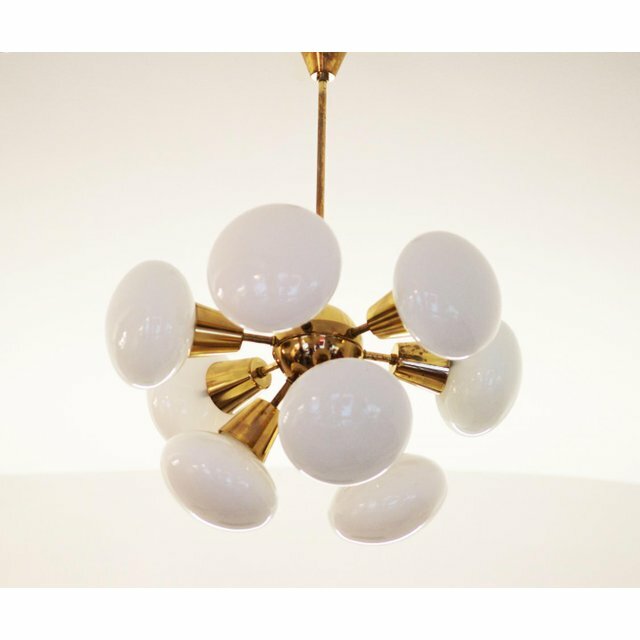 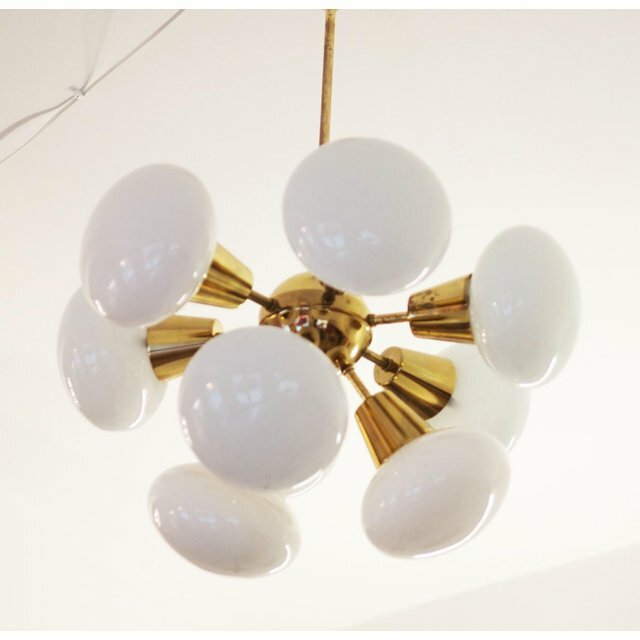 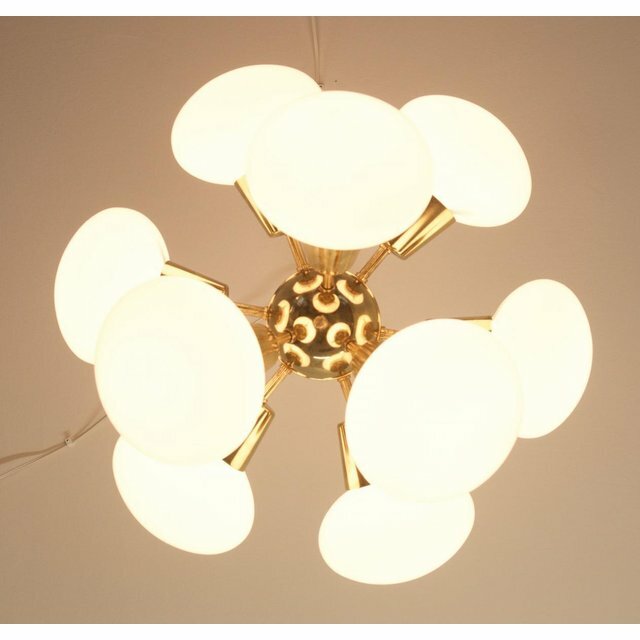 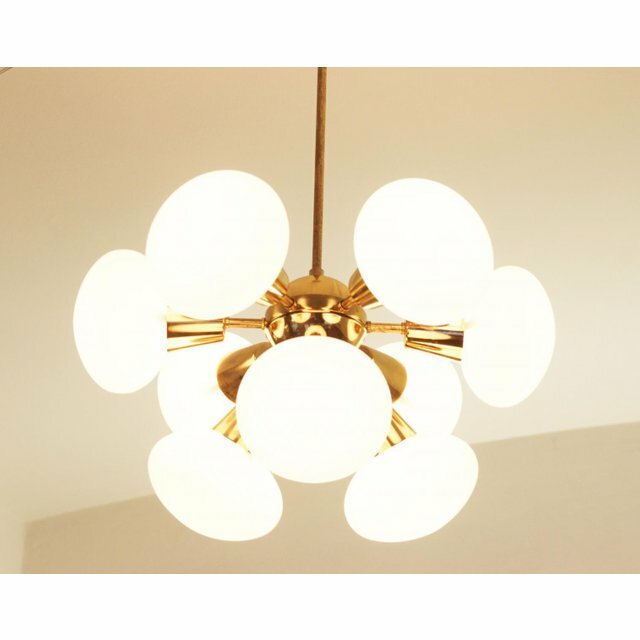 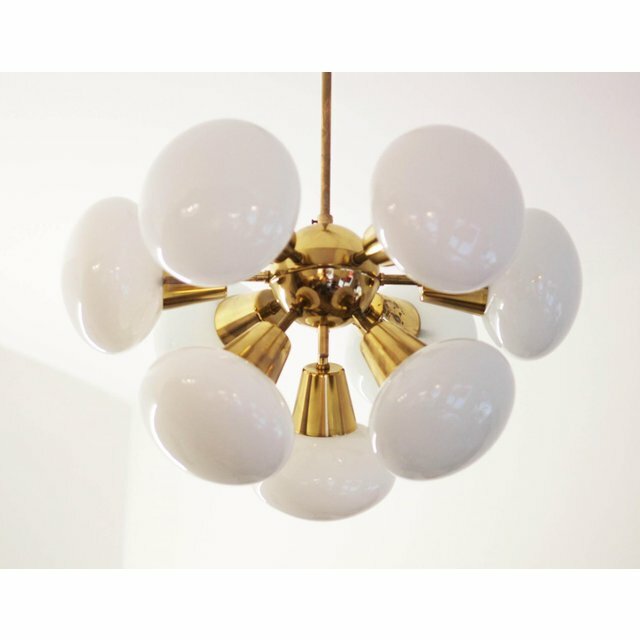 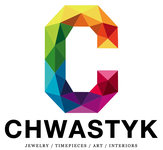 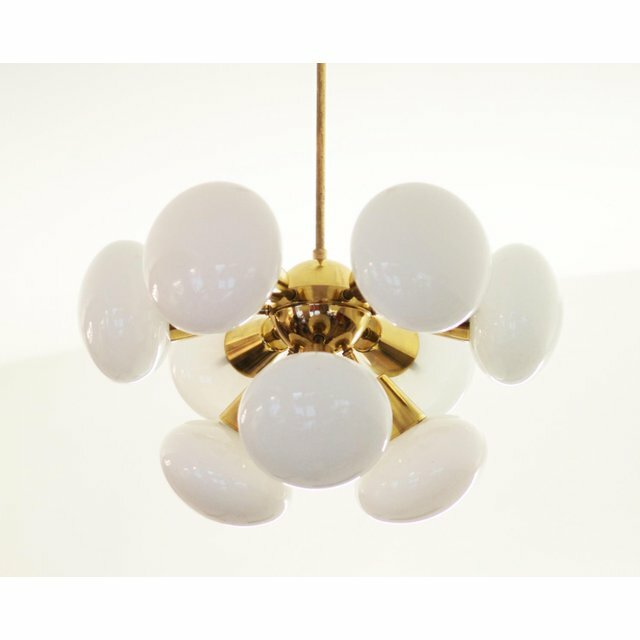 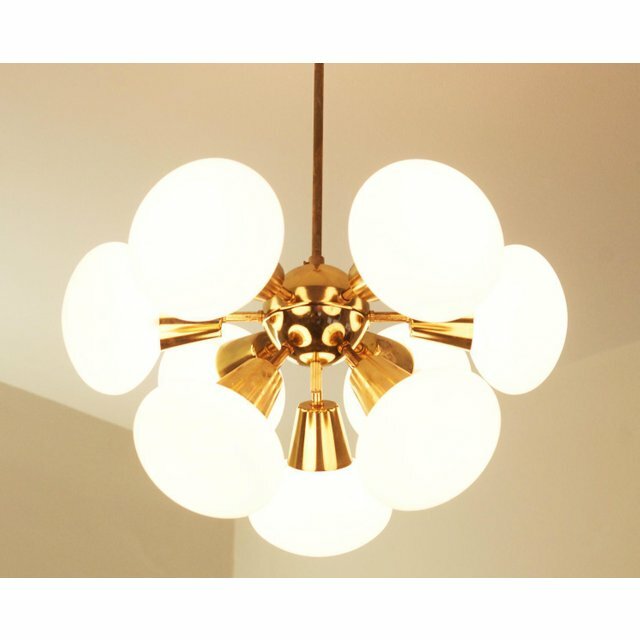 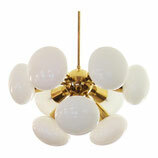 It is made of polished brass with nine round white opalescent glass shades. 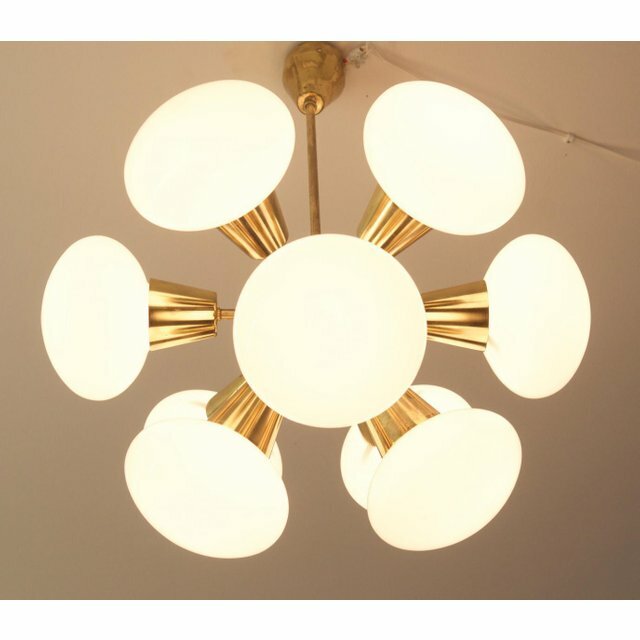 This listing is for a single unit but 2 are available. 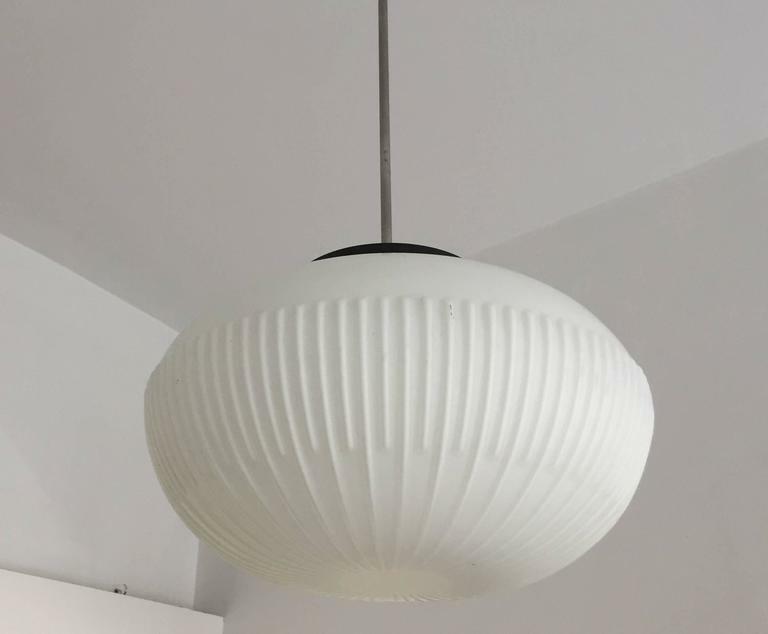 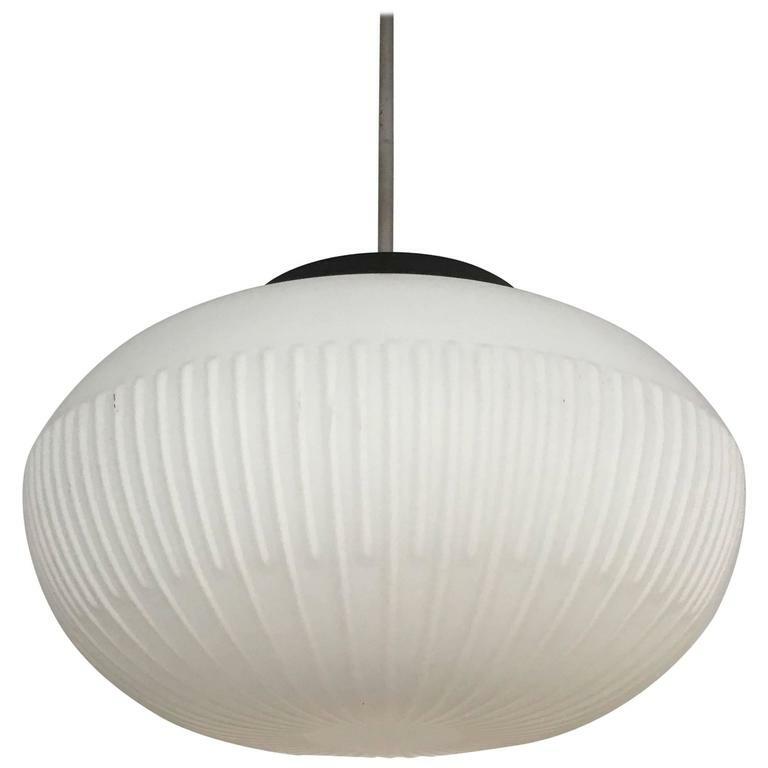 Opaline sphere shade with ridged side made in the 1970s. 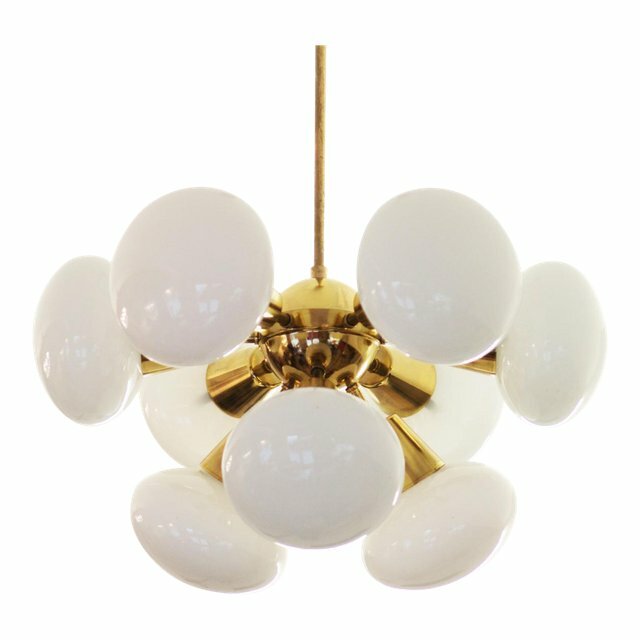 H 47.25 in. 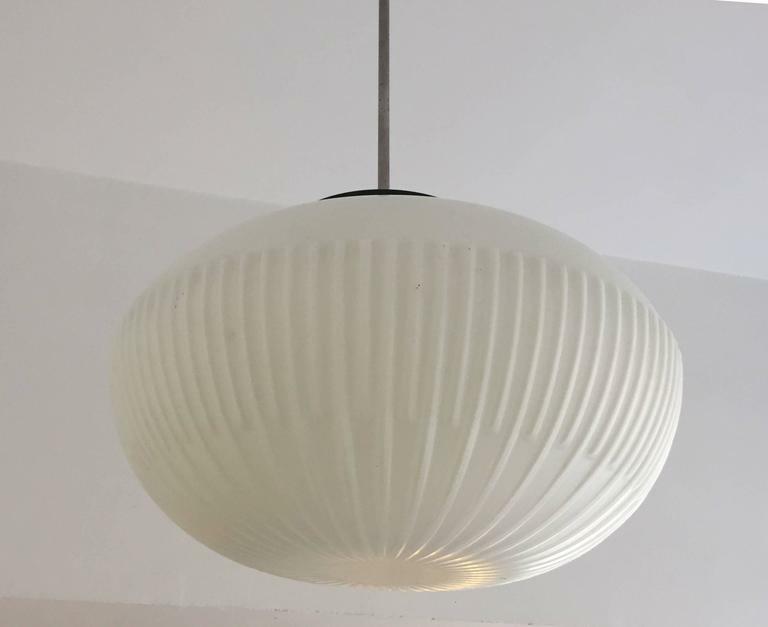 x Dm 16.54 in.